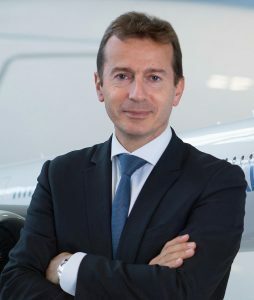 Guillaume Faury’s first year at the helm of Airbus will include a couple of welcome milestones as well as well-documented ongoing problems at the European aerospace giant. The manufacturer’s A350 program expects to break even in 2019 and its successful A320 family aims to reach a production rate of 60 aircraft a month by the middle of the year. On the downside, there are ongoing investigations into illicit payments made by Airbus agents, problems with the A400M military transport that produced a 400m euro charge in 2018 and the winding down of the A380 program after Emirates reduced its order from 162 to 123 aircraft. READ: Airbus to upgrade alerting software after Downunder incident. Airbus now expects to deliver eight A380 superjumbos in 2019, seven in 2020 and the last two in 2021 as it winds down the program. But Faury inherits from former chief executive Tom Enders a company in good financial shape and with fewer of the internal ructions that hampered it in the past. This will enable Airbus to pay a gross dividend to shareholders of €1.65 per share, up 10 percent on the previous year. It has also seen it for the first time achieve a 9 percent return on sales with the figure for commercial aircraft above 10 percent. The new chief executive was endorsed at the Airbus annual meeting in Amsterdam on Wednesday, marking a generation change in leadership. 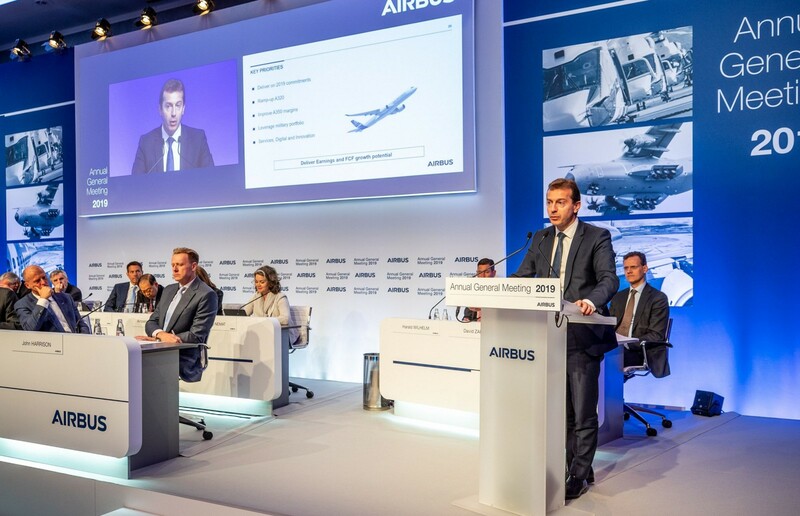 Giving the company’s outlook at Wednesday’s annual meeting, Faury said Airbus expected the world economy and air traffic to grow in line with prevailing independent forecasts assuming no major disruptions. He said the company was targeting 880 to 890 commercial aircraft deliveries in 2019 and this would result in an increase in adjusted earnings before interest and tax (EBIT) of about 15 percent compared to 2018. He noted 2018 was a year of solid performance in all of the company’s businesses “with guidance achieved or exceeded”. “The results confirm that we deliver on our commitments and we intend to do so again this year,’’ he said. “Our commercial aircraft backlog…supports our single-aisle ramp-up plans and a steady rate 10 on the A350. “We’re on track for the A320 rate 60 by the middle of this year and we are preparing for higher rates in 2021. He said Airbus had “re-baselined” the troubled A400M program and expected to deliver in line with its commitments. He said the company was well positioned to leverage its military business and would continue to focus on program execution, continuous improvement and competitiveness. It would continue to invest in its industrial system and digital innovations. “We want to improve the way we design, manufacture and service our aircraft systems and our products for customers,’’ he said. Enders had earlier told the meeting that Airbus had “significantly de-risked” the A400M program with an upcoming contract amendment and an improvement in operations and capability. The program cost the company 400m euros in charges in 2018. He also revealed it had significantly reduced the value of its backlog under new accounting standards that to 460 billion euros to reflect “recoverability” and the net transaction price on the airframe and engine. “The significant reduction in backlog value is mainly due to the net versus list prices,’’ he said. “So we had list prices before and we have net prices now”. However, there was no change in the number of aircraft in the backlog and this had reached a new industry record of 7577 aircraft at the end of 2018, including almost 500 A220s. Enders said Airbus had seen “good commercial momentum” on the 220, particularly after the deal was finalized with Bombardier and the Government of Quebec in July. He said the A220 delivery target for 2019 was 45 aircraft. 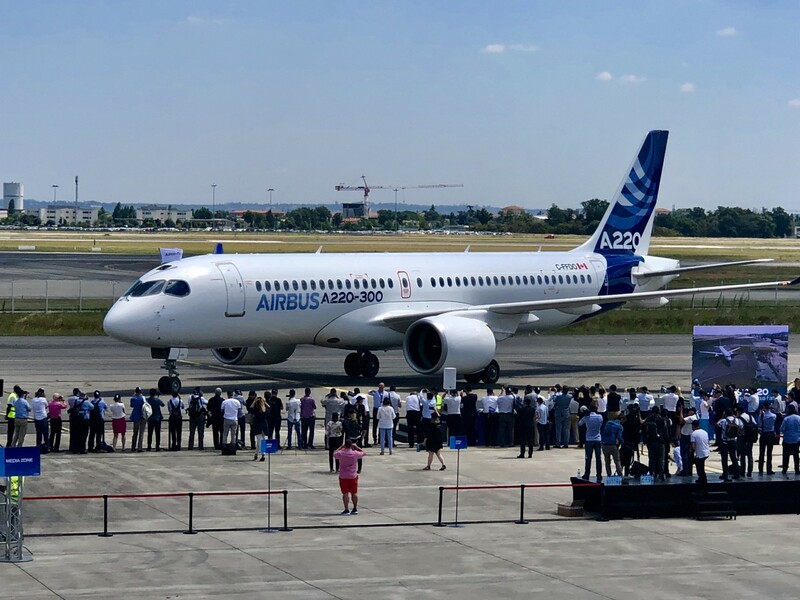 The A220 debuts in Toulouse. The A320 backlog was still more than 6000 aircraft and supported the plan to reach a production rate of 60 aircraft a month by the middle of 2019 and 63 in 2021. The outgoing CEO said Airbus could go higher but needed to take the whole supply chain with it and had reached the point where it realized “at this point, we should not overdo it”. He noted that more than 60 percent of A320s delivered in 2018 were neos and said this was one reason profitability soared in 2018. Airbus was planning to deliver about 50 A330 family deliveries in 2019 with a few open slots from 2020 onwards. The A350 reached rate 10 in the fourth quarter, as predicted five years ago, and the backlog supported continuing this rate in the future, Enders said. He began his career in 1992 as a flight-test engineer for the Eurocopter Tiger helicopter in the French government agency Direction Générale de l’Armement (DGA). He joined Airbus-owned Eurocopter in 1998 and worked in engineering, programs and flight testing before becoming executive vice president for programs and ending up as head of research and development. In 2009, he became the head of R&D at automotive company PSA before returning to Airbus Helicopters in 2013 as chief executive. Chairman Denis Ranque predicted Faury would successfully guide Airbus into the next decade. “Guillaume has exactly the right skill set and experience needed to take Airbus forward,” he said. The board also announced it had selected Rene Obermann to succeed Ranque as chairman when his term expires at the close of the 2020 AGM. Obermann has been an independent non-executive board member since April 2018. A former chief executive of Deutsche Telekom, Obermann has been managing director of private equity house Warburg Pincus since 2015 and is also a board member with Telenor ASA and Allianz Deutschland AG. “After a thorough review, the Board has selected a very capable successor to take over when I step down as Chairman next year,” Ranque said.